Here we are 3rd week into mine and Nat's combo posts and I cant believe we only have 1 more left after this, I have come to love our combo. Gonna miss it. This week is all about skin care, what we use and how it helps us. 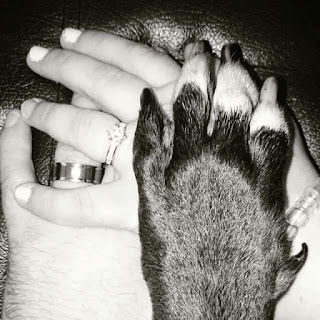 As anyone who has read my blog for a while knows I am a very big brander, as in when I find something I love I will follow that brand to the ends of the earth, but this year I am trying to break with tradition and venture out to a bold new world of brand new products. 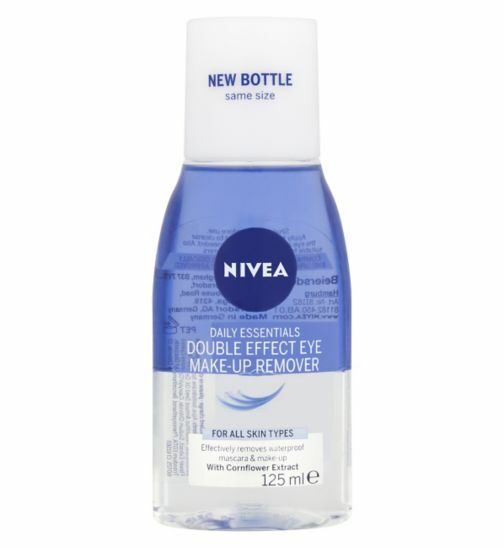 The first thing I would like to talk about is my make up remover, and surprise surprise its Nivea hehe, it is the Nivea Double Effect eye make up remover and I hand on my heart will buy this forever. To get my main make up off I use my Soap and Glory Peaches and Clean 4 in 1 Deep Cleansing Milk It smells so good, like peaches with a hint of mint hehe. I use 2 pumps in my hand and just use it like a soap and it takes all of my make up off. I haven't used this before but Paul got it for me for Christmas in my soap and glory set. 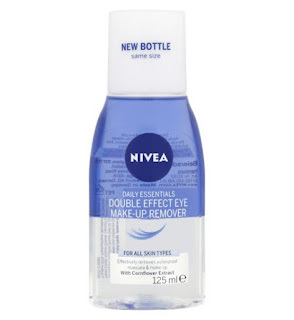 I know it will last a while but since it is such a simple way to get my make up off then I will be getting this again. 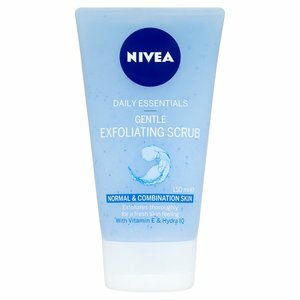 Next is my exfoliator, which I use twice a week or when ever my skin feels like it needs a little extra, I use the Nivea Gentle Exfoliating Scrub (yep another Nivea) I have used this since I was 19 and I don't think I will ever change it. After taking my make up off, I wet my face, and rub in the exfoliator, I tend to concentrate around my T zone and chin, because that is where I get a lot of break outs. Sometimes if I feel my skin is a little cloggy then I will leave it on my face a little longer just to make it feel fresher. Then I wash it straight off. And there you have it that is what I use on my skin. I find for my skin type, which is combination, it works and works well, so I will continue to use this. I do use a moisturiser but I love it so much that I have made a whole blog post just about it which will be coming soon.